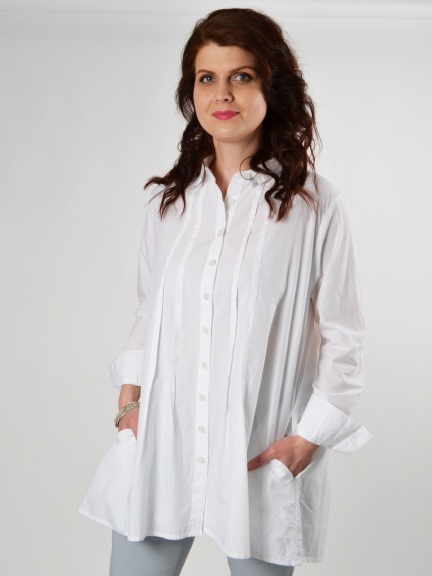 A feminine take on the white shirt, this flowy A-line silhouette is graced with a gentle high-low hem. Tucks in front and back lengthen the look. Convertible collar, single button sleeves, and on-seam pockets at hip.